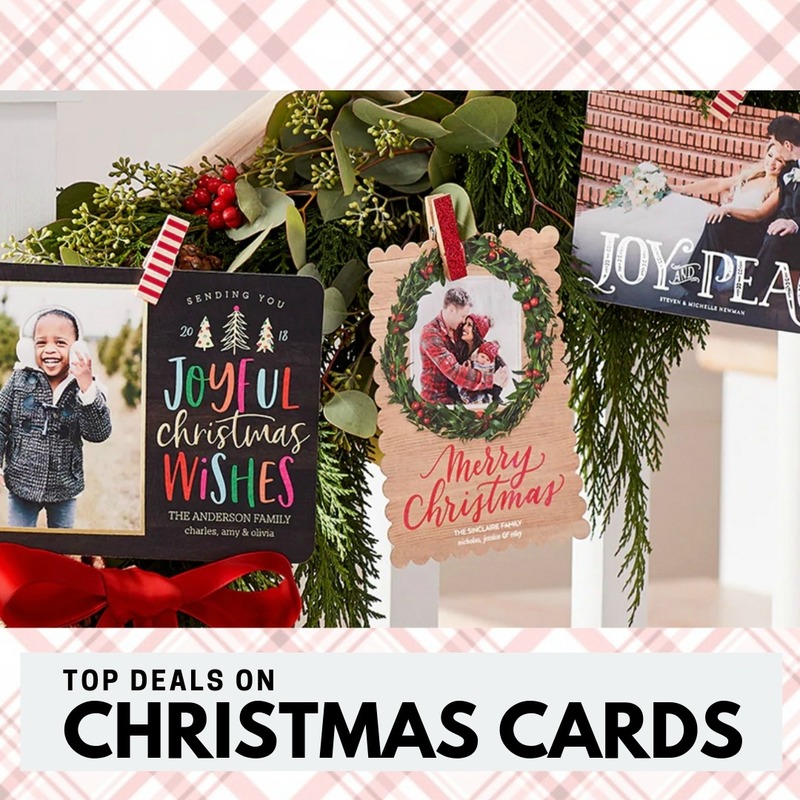 Home > Black Friday > Top Christmas Card Deals: up to 70% off! Top Christmas Card Deals: up to 70% off! Looking for a deal on Christmas Cards?? Here’s all the deals I know of in one place so you can decide what is best for you. You can get Christmas cards up to 70% off right now with FREE shipping! Head to Tiny Prints and use code MERRYCARDS to get 30% off any order. Cards are as low as 83¢ after the coupon. 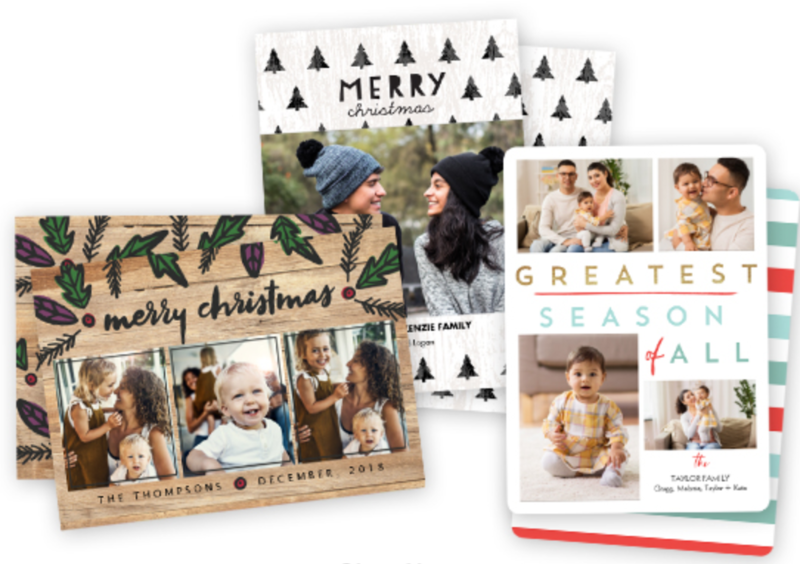 Get 50% off Premium Photo Cards at Shutterfly with code CHEER. Makes cards as low as 31¢. If you order $49+ get free shipping with code SHIP49 as well. Get 70% off all cards with any $40+ order on Snapfish when you use code PEACECRD. Makes quality cardstock cards only 25¢ each! Members can get 100 photo cards for $15 with free in-store pick up. These are high quality photo paper and come with foil-lined envelopes. That makes it 15¢ per card! One of the more swanky sites, Minted is offering 20% off any order with code WINTER18. Plus sign up with this link and get another $25 off your order. Putting the two together makes cards $1.08 each (reg. $1.67). They also offer free addressing on all your envelopes, so you just put on a stamp and mail! Get 25 flat double sided photo cards for $8 with this Staples Deal on Groupon. This makes cards only 32¢ each. Select in-store pick up to get them from any local Staples and not pay for shipping. If you want more than 25 cards, you can get 50 for $14 (28¢ ea.) or 100 cards for $25 (25¢ ea.) after the coupon code. 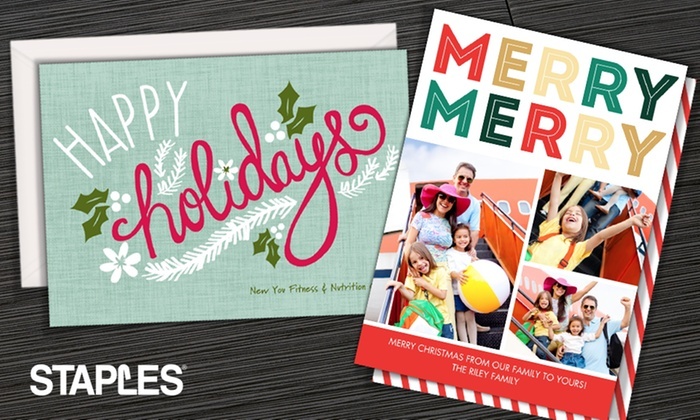 Snag 50% off all Cards from Walgreens photo, plus free in-store pick up with code FROMSANTA. This makes cards starting at 45¢ each.